Gold has been dominating the headlines for several years as Wall Street pundits have been extolling the virtues of the rising price the shiny metal has experienced since a little over a decade ago. Love it or hate it, gold investing is definitely here to stay and with quantitative easing increasing our money supply indefinitely, it seems that higher interest rates and inflation is in our future. With that being said, there are a lot of gold mining stocks you might want to consider for your dividend investment portfolio. Many are well established companies that have been around for decades and some have bee paying dividends for as long too. First up is a company that, while currently has negative earnings, has been a long time dividend payer going back almost 30 years. Newmont Mining Corporation (NEM), a gold, copper, and silver mine operator, currently yields a very low 0.40% with an EPS of -5.37. Despite those gloomy numbers I wanted to share NEM because of its eye popping ten year annualized dividend growth rate of 21.83%. Of course, investing in gold mining companies has all the risks if investing in any public company with the added stress of fluctuating gold and silver commodity prices. NEM may be one to consider since it has a very high annualized dividend growth rate and if gold and silver prices climb back again, will give NEM greater cash flow and profitability. Next is Goldcorp Inc. (GG) a precious metal operator with locations in Canada, the United States, Mexico, and Central and South America. GG currently yields a respectable 2.20% with an EPS of -3.60. Again, like most players in the gold mining sector profitability depends heavily on the current price of the commodity being mined. While currently offering a decent yield GG has an impressive ten year annualized dividend growth rate of 14.49%. Like NEM, GG has been growing their dividends nicely the past decade as gold prices have climbed as well. Another large gold miner is Barrick Gold Corporation (ABX) which has been paying a dividend for almost 30 years, currently yields 1.10% with an EPS of -10.47. ABX mainly produces gold and copper and owns many properties all over the world including properties located in the United States, Zambia, Chile, Dominican Republic, Argentina, Tanzania, Canada, Saudi Arabia, Australia, Papua New Guinea, and Peru. ABX has an impressive ten year annualized dividend growth rate of 8.56% but, again, like the other stocks mentioned is currently not profitable. Noticing a trend here? Finally I’d like to mention two smaller cap gold mining stocks that also have negative earnings as the mining industry as a whole is currently experiencing. Yamana Gold, Inc. (AUY), a gold mining and exploration, extraction and processing company with precious metal properties and land positions throughout the Americas, including in Brazil, Chile, Argentina, and Mexico currently yields 1.70% with an EPS of -0.77. While having a shorter dividend history than many of the other stocks mentioned it is worth noting that the five year annualized dividend growth rate for AUY has been a very high 21.06%. Time will tell to see if AUY can follow the impressive annualized dividend growth rates of the other larger cap companies in this article. Last, is Agnico Eagle Mines Limited (AEM) with mineral properties in Canada, Finland, and Mexico. AEM, Besides for its core of mining gold and silver also mines copper, zinc, and lead which diversifies its assets. AEM currently yields a very low 0.90% with an EPS of -1.86. The silver lining for all the negative earnings has been the amazing annualized dividend growth rates of each company mentioned and AEM is no exception having a ten year average dividend growth rate of 40.2%. That is some serious dividend growth that every dividend investor would like to get their hands on. It seems that the smaller cap gold mining stocks are faring a little better than the large cap stocks mentioned earlier during this climate of relatively depressed gold and silver prices from the highs of a few years ago. Investing in gold mining stocks has never been a trade without inherent risks. As mentioned, not only do operations of the mine matter, the price of the commodity being mined is as important in determining the profitability of the company as a whole. While the current yield of all the stocks mentioned are relatively low and all the companies have negative earnings, the one bright spot in this sector, with regard to dividends, has been the amazing annualized dividend growth rate each company has experienced. As in previous articles written, the question that ultimately comes up is whether you can accept a low current yield but amazingly high dividend growth rate. 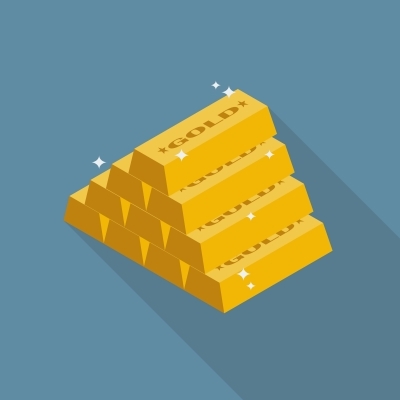 Are any gold mining dividend paying stocks in your portfolio? It is interesting to realise how different things can be on various markets in the world. In the US you guys call a dividend payment yielding 2.2% respectable and in Europe I call that a bad to mediocre dividend yield. This directly gives information concerning at which level the different markets are and it is yet another signal that many companies in the US are today fairly to high valued since the dividends are down to around 1-2%. I totally agree with you regarding the differences in what we in the USA think is a relatively high yield compared to the rest of the world. I only say 2.2% is respectable when I compare to the 0.5% or less I get at a bank or a CD. I realize that in absolute terms the yield is very low but here in the USA it’s a lot more than you can get elsewhere plus these companies often raise their dividends too. I appreciate your comment. Thanks for the write up DivHut. I had an investment in Gold Corp for a while. I would like to get back into a gold position but I think we’ll get a capitulation move in the price of gold. I honestly would have thought that capitulation would have come, in dollar terms it was down 30% from the highs, but I don’t think it has yet. Time will tell. Gold is one of the toughest nuts to crack in terms of figuring out where it will head next. It seemingly defies all logic all the time. Personally, the only gold stock I ever had was Homestake Mining Co. which I wrote about a while back and prefer holding the actual yellow metal in my hand instead of any paper gold. As you say… time will tell, but I think gold and silver is not done heading higher a little longer term. Thanks for the comment. I recently reviewed some stocks in Basic Materials but none of the above met my screener, mostly due to low dividend yield. After comparing my portfolio’s performance to an indexed mutual fund, I’m more persuaded to only start new positions with stocks at 2% yield or higher. Many great dividend stocks are never on people’s radar because many screen out stocks that yield less than 2%. While I totally understand the need to screen for higher yielding stocks one cannot discount the value of low current yield with high dividend growth either. Thanks for commenting. Investing in gold has always been a tricky venture especially when the price of the commodity fluctuates so much. I agree that in this capital intensive industry it is very hard to predict who will be profitable and who will not. Thanks for sharing this comparison of Gold mining companies. There certainly is a lot of negative sentiment surrounding the gold sector these days. One of my concerns with the sector is that some of these companies may cut the dividend. Barrick (ABX) already cut their dividend in last summer. Glad you enjoyed this comparison of several gold mining dividend stocks. While it’s true that a lot of gold mining stocks have cut dividends, many of them have been paying out distributions for decades. I realize that gold mining stocks and specifically gold mining dividends are not as conservative or as reliable as say a consumer staple stocks, but it does offer a diversification from the “normal” sectors most if us usually invest in. Thanks for your comment.